It’s Guest Blog Wednesday featuring Glyn Dewis! So who is Glyn Dewis? Well believe me, that’s a question I’ve struggled with more times than I care to remember. Don’t get me wrong, I know who I am as a person: I’m Glyn, 40 years of age (only just I hasten to add), I’m married and I live just outside of Oxford in the UK…that bit is easy. What I’m talking about here is who am/what am I when it comes to Glyn the Photographer? Roughly 7 years ago one of my Uncles, who was always known as our family photographer, showed me how he could remove ‘red eye’ from his photographs using a piece of software called Photoshop. Literally in a split second it was gone and I was like ‘Wow!’ Now as someone who was brought up using computers, my first being an Amstrad CPC464 with the green screen monitor no less, I was immediately hooked. Anyway, I managed to get hold of Photoshop 7 as it was at the time, but being the kind of person that I am I couldn’t just ‘play’ at it…oh no, I had to totally immerse myself and learn as much as I could and as quickly as I could. My immediate reaction was to scour the internet for some kind of tutorial to set me on the right path and that’s exactly what I did. On the very first page that came up there was a link to something called the ‘National Association of Photoshop Professionals’; it looked really good, and the 3 guys Scott Kelby, Matt Kloskowkski and Dave Cross seemed to know a thing or two. So on complete and utter blind faith I signed up and became a member. A few months later Photoshop CS was released and I found myself in Las Vegas, my very first trip to the USA, on my own at Photoshop World. Well, I say on my own but in no time at all I’d met up with and was hanging out with other attendees; people who to this day are still very special friends. Photoshop World was incredible…I learned so much, made so many great friends and came home completely fired up. The motivation led me to studying for the Adobe ACE qualification which I took and passed. My knowledge of Photoshop grew to the point where I started retouching other photographers’ work and then eventually doing more with my own camera, a Nikon D200. I went on quite a few courses both in the UK and abroad and started building up a client base. However after a year or 2, feelings of confusion, frustration, wanting to throw the towel in and everything else that comes with it set in. You see I’d started to feel lost…I didn’t know what I was as a Photographer. I mean was I a Wedding Photographer or a Portrait Photographer? Or did I want to take family photographs?…I just didn’t have a clue. One thing I did know though was that I needed to start making some money and fast… if not just to start building up the bank balance, but to show to my wife that she was right to believe in me and that I could make it happen and we could make a very good living out of my photography. It didn’t help when all around me everyone else seemed to be having a ball; a never ending stream of clients, shooting loads, everything they touched turning to gold and never suffering doubt and frustration. So when Zack Arias released his Transform video it was like ‘Thank God…finally someone is telling the truth!’ Knowing that I wasn’t the only one who had feelings like this made a huge difference to me and was definitely one of the turning points. So there I was knowing that the feelings I’m experiencing are normal, but still not knowing who or what I was. I certainly didn’t want to be known as a one trick pony, but I did atleast want to be able to give a credible answer when someone asked ‘What are you?’ Did I say Portrait Photographer, Editorial Photographer, Commercial Photographer? What did I specialise in…Family Photos, Headshots, Weddings, Sports, Music or Physique? Oh and one more thing ‘what was my style?’ Oh my god I hadn’t even thought about that. Not only did I not know what I was, but I didn’t know what my style was either! Style I believe isn’t something you can force. So if this is something that concerns you, take some of the stress away by just accepting that if you continue to shoot regularly it WILL reveal itself. Come to think of it look at certain photographers around the world, Zack Arias and Alan Hess for example…seems kind of natural they shoot what they do and the way they do right? I honestly don’t think it’s a coincidence but rather photography has naturally led them there. Very much like the power of association in that you become those who you associate with, your style comes from the life you lead and the experiences you’ve had. My goal, and this is something I always explain to people who come to my workshops, has always been for clients to hire me because they like what I do and they like ‘me’ as opposed to looking around and seeing that everyone is doing the same kind of thing, so who’s the cheapest…does that make sense? Apart from him being a complete wizard with Photoshop,. one of the biggest lessons I’ve learned from my good friend Calvin Hollywood is to practice, practice, practice. Calvin is one of the hardest working guys I know…constantly pushing forward not just his skill level, but developing his business and himself. Taking his advice I now put time in my diary every day where, for 30 minutes, I have to read some kind of self help, personal development or business skill book. At the moment I’m reading ‘The Presentation Secrets of Steve Jobs’ by Carmine Gallo, which I highly recommend if you ever give presentations or teach. On the subject of books, anyone who knows me would testify that I am indeed a serial book buyer, but rather than before when I was almost behaving like a Trainee Librarian filling up my bookshelf with books I had hardly touched and some I hadn’t actually opened, I now set myself a goal of going through 1 complete book a month. I’m a slow reader so that to me is realistic but that’s still 12 books a year which is heck of alot of extra knowledge. Audio Books are great too; understandably not so for the Photoshop but as for self help, personal growth and business they work a treat. I also set aside 30 minutes each day where I’ll concentrate on learning something new in Photoshop. This could mean spending time in forums, watching some kind of training video or simply experimenting and seeing what I can come up with. If I don’t do something every day (however little), then how can I expect to improve? I’m always looking at other photographers work that I like for inspiration but try not to make the mistake of comparing myself as I used to do…a lot! This only creates negative thoughts and I liken this to my bodybuilding days in that it didn’t matter how big and strong I became there would always be someone bigger and stronger so there really is no point comparing. One of the biggest lessons regarding ‘gear’ I learned came from Zack Arias. Photography is one of those things where new kit is being developed constantly. The latest all singing all dancing bit of kit that will be the answer to your dreams seems to be invented on an almost daily basis. Zack’s philosophy is to use what kit you have so much that you get to the point where you totally know its limitations. Then and only then go out and get that new piece of kit because you’ll understand why you need it. Up until I’d followed this advice, I had a camera bag that was literally overflowing with kit that I very rarely used…if at all. I love what I do: the process of making photographs, working through challenges to get exactly the shot I need, being creative with Photoshop, teaching others and all the people I’m meeting and friends I’m making along the way; genuine, good, honest people, the calibre of whom I’d never encountered before becoming involved in this industry. The Photography world can be a frustrating one at times for sure, but I love it. It feels right and natural to me that I’m doing what I’m doing, and I truly wouldn’t want to be doing anything else. Sure there are many ups and downs and challenges ahead, but that’s just the nature of beast and I embrace that. Within this wonderful community are people who will support and guide you, people who genuinely want to see you move forward and do so because they totally love what they do and this blog you’re on now belongs to one such person. Thank you never seems enough, but there are people I’m proud to call friends and without whom I may never have picked up a camera and progressed with Photoshop, let alone have my own business: Scott Kelby, Calvin Hollywood and Matt Kloskowski amongst others…each of whom epitomise friendship. It’s bizarre to think we’ve only known each other a relatively short time but meeting and becoming close friends with my buddy Dave Clayton was definitely a highlight of 2011 and then of course there’s my beautiful wife Anne: my ultimate motivation and motivator. Previous PostWedding Promo Clip From Russian Photographer Sergei Ivanov. Amazing Style! Glyn, awesome guest post dude! I am so glad also to hook up with NAPP, to meet all the great photogs that I have befriended and come to know and learn from. Your photography is spectacular, I especially love the pic of the guy in the suspenders! Hope to get to meet you one day soon too! Thankyou Yetkin; very kind of you to say. Great post Glyn, very inspirational. Good luck teaching at PSW. Wow Glyn, you know you’ve made it big-time when you get a spot on Scotts guest blog Wednesday! Congratulations, it all seems to be coming together for you! Inspirational stuff. As I read the bit about how you started, and getting despondent, finding your style. I can think yep, been there, done that, or yep, that’s where I am right now. Its taken a few years to decide I am a portrait kinda guy and to only now develop a style of my own. Just brilliant Mate. My God…… It’s me just further down the path & a little less furry on top. Thanks for sharing & being so honest. Long may your success continue & I’ll be trying to take a bit of your talent & determination home with me from this weekends workshop. to keep fanning that flame and keep it alive. Great to see your flame burning brightly! At new year I thanked a selected few for inspiring and influencing me in a similar way. You were one of those and even stopped by with a refreshing modesty to express your gratitude. I’ve now marked that post as private because it’s for me. It’s one of my ’30 minute reads’ if you like. It keeps me going. You may remember at your January character workshop I said people by people. I’m not wrong Glyn. This content in this blog article is evidence of why people will continue to buy into you. You are an honest, open and annoyingly talented dude and best of all, British! Inspiring – filled with fabulous images, I hope this gives you yet another boost in popularity & success. You deserve it! And if you don’t know Glynn I implore you to read his blog archives, full of gems, big and small that will help, push, inspire you all to produce better photographs. Gyln that is hell of an article, such a please to read. Can’t wait to do one of your courses later this year, i’m all buzzed up. Many congrats on reaching another milestone in your career. I guess looking from the outside it’s been easier to see how your style and marketing have changed in the several years we know each other. The one constant though has always been your drive or determination to achieve the task at hand, whatever that may be. Best wishes for continued success in 2012 and beyond. I love this guy! Best post of the year! I am totally inspired! What a great post Glyn, I did enjoy that. 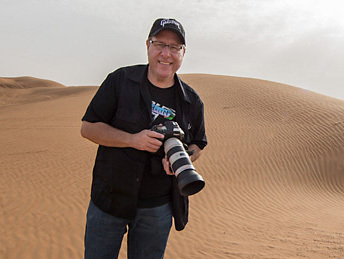 It’s one of the best, if not the best, guest blogs on Scott Kelby’s blog that I have read. Very honest, positive and encouraging, thankyou. Nice one Glyn, well deserved have fun at Photoshop World. For me I like to call myself an ‘Enthusiastic Photographer’….. Thanks for the post Glyn and you deserve every bit of exposure on blogs like Scott’s. Great images as well. Pure awesomeness! You are that awesome Photographer, Retoucher, Trainer and Photoshop World Instructor for sure :)! So pleased that all of your hard work has paid off. Good things come to good people. Have fun :)! Thank you Glyn for speaking directly to me :) I enjoy your honesty and insight. Thank you Scott and Brad for hosting Glyn today. I don’t want to see anyone struggle, but it is refreshing to know that even the greats do to. Cheers! Have a great day. Great read, Glyn! Your passion is, as always, inspirational. Well done. photoshop has really been a big use for me and i love it. Great post. Read it twice and bookmarked it. Just came from 500px. A real inspiration for me. Thank you. Very nice post Glyn. Good for my photographer soul as I’m not always sure who I am behind the camera. Best to you. It’s easy for me to draw a lot of parallels between my story and yours. This couldn’t have posted at a better time. I really needed a little focused clarity and encouragement from a photographer I admire and respect a lot today. Thank you! Thanks for sharing a bit of yourself with us and inspiring us with some great images! Thank you Glyn, well stated and we can all relate your experiences. It gives us a good perspective on our own journey as photographers. Keep on doing what you do Glyn, it inspires others to do better. What a great post, full of some really excellent advice. Nice to hear where your inspiration came from. Thanks for sharing. Nice post. Nice to see your honest approach to things……. Great post, great guy!!! Glad I got the chance to meet you! What an enlightening read. Your journey is inspiring to a newbie like myself. Keep pumping out content so the rest of us can catch up. Thanks for the article. Great post Glyn, looking forward to seeing your sessions at Photoshop World in March. This was an excellent article shared by Scott today. It speaks to all aspiring photographers. One thing is very clear..is that it takes hard work. Being a photographer capable of producing very good photos is not going to get you there alone. I am in the midst of growing my presence and doing something that most people neglect, a Business Plan. This is helping me narrow my strategy and fine tune it immensely. Thank you very much, Mr. Dewis….and Scott for having the insight to know what we needed to know. What can I say? You will remember I wrote a post at New Year to thank a few selected people. You were one of them. Your response was refreshing, modest and full of appreciation that you are making a difference – a positive one at that. I’ve now pulled that post. It’s my ’30 minute read’ now if you like. It’s the one that keeps me going in this direction and it feels right. I said to you recently that people buy people. Some clever so-and-so said that once and it stuck with me. People buy into you because you are honest, loyal, annoyingly talented and thankfully British! I am happy to admire your work, call you a friend and wish you and your family well. Will, what I can say? Thanks so much mate, it means alot to read that and ditto…great to have met you and now be able to call you a friend. Thanks for sharing your story, advice, and pictures! A great read, and one that everyone can learn something from. I’m still trying to find the one thing that I love in photography (leaning towards portraiture), so it’s good to see that that is normal. Hope to catch a class of yours at PSW sometime! Are you teaching in PSW Vegas in the fall? The most inspiring photographer and retoucher in the UK and simply the best trainer you could experience when it comes to passing on that knowledge. If you do nothing else in 2012 book a Glyn Dewis workshop, you will love it!!! What a great read. I really appreciate your views. I too don’t know my style, but I am working on it however slowly. Dave Clayton really is a great guy too!!! I hope to meet you at a future Photoshop World. I will be in Vegas in September. Congrats on the guest blog post. This was a great read Glyn. Looking forward to watching your skills grow (which is hard to say considering your amazing talent). I’ve learned a lot from your personal blog posts on Photoshop and recommend it often. Looking forward to catching up with you again in person, either here in NYC or in the UK. Your blog post really resonated with me because it’s a vital topic that addresses the questions and concerns I’ve had in my photography journey. I’m still working through these issues and feel like all this should have been taken care of long ago. I continually feel like I need to start over. I’ve known that I need to address many things about my photography. I’ve been working a lot, but I need to do things better. I have amassed a lot of photography gadgets and a library of books, but find myself so inundated with everything that I hardly have time to put some things into practice. I was moved by Zack’s Transform video and it helps to remind me why I’m here. I continue to be inspired by so many photographers and have found encouragement in the photography community here. I am going to my first Photoshop World in DC this March and I’m really looking forward to it. I have enjoyed the teaching from Kelby Training seminars that have come through here, along with many other training resources available. Thank you for your post and for helping people get on the right path. Hey VP…Be sure to say hi at PSW in DC; you’re gonna love!!! weren’t married, you would be married, that’s your marital status. who you are. Who you are? Thanks Glyn, great to see your career taking off. Enjoyed your post immensely. Great images…. reminds me of “HDR meets Alice in Wonderland”. Very inspirational messages too. It’s good to know that I’m not the only one struggling with what non-photographers think are easy questions like “what is your style?” and “who am you?”. Awesome work Glyn. I love your work – very inspiring. AKeep up the good work. Way cool, story and images! It’s really great to hear different people‘s stories. Great post, very inspiring and truthful! Excellent read! Always great inspiration here, thanks Scott! This is one of the finest article! thanks for sharing Glyn!